We provide nursery care for all 10 AM worship services. The nursery is located in the Christian Education Building, which is specially equipped for nurturing care. We screen all child care staff and volunteer members who work with our children using the Safeguarding God's Children program provided by the Episcopal Church. If you would like to speak to our nursery coordinator, Peggy Bland, you may contact her on weekdays at the church office by phone or through our web site. We welcome children of all ages to participate in worship; we also realize that sometimes they need redirection or a space in which they can move around. We have those things! We have creative options for children in worship, all of whom occasionally have trouble sitting still and quietly. Parents can find these worship bags in the narthex (lobby) of the church; we ask that you return them there following worship. 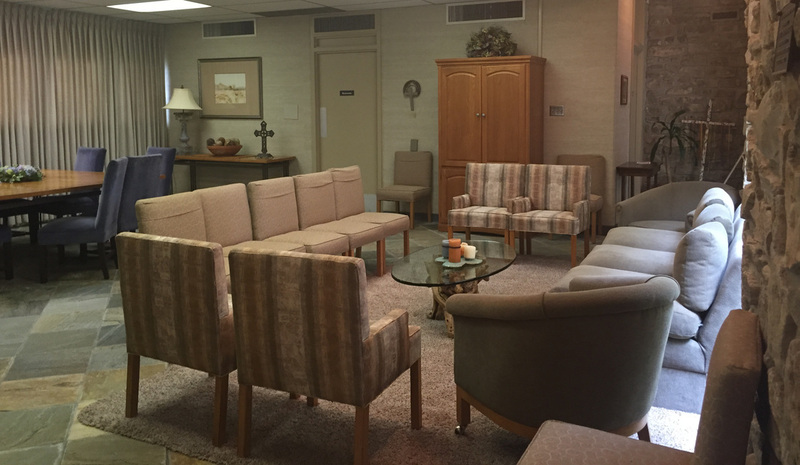 In addition to nursery care, the Guild Room is also available during all worship services. The Guild Room is adjacent to the sanctuary and includes a small kitchen, restrooms, and a private nursing area. Additionally, the 10 am service is broadcast to the TV so that you may still participate in the service.